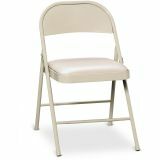 HON HFC02 Steel Folding Chair, 4-Pack - Steel folding chairs offer a 1 padded seat. Sturdy steel construction withstands the wear-and-tear of frequent use. Design features double-reinforced steel at pivot points. 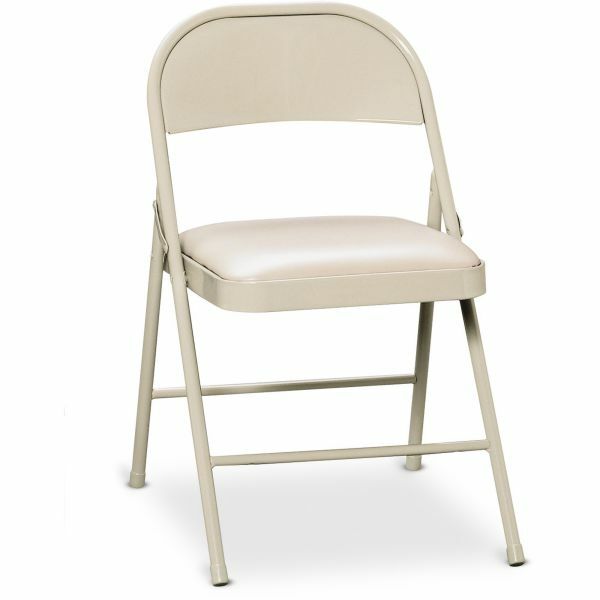 Seat size is 16-3/4" wide x 16-1/4" high. Back size is 16-1/2" wide x 7" high. Stack thickness is 2-1/2" per chair. Each chair weighs 10.4 lb.